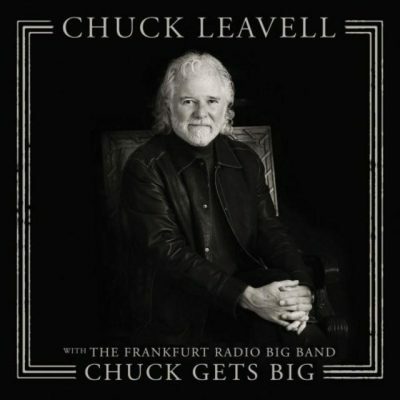 Backed by the Frankfurt Radio Big Band, Chuck takes us on a musical journey through his 40+ year career as one of rock’s top keyboard players. He covers his lifelong idol Ray Charles with “Losing Hand” and “Georgia on My Mind”. Chuck also reaches back into his beginnings with the Allman Brothers Band playing “Southbound” and “Statesboro Blues” and then moves on to his jazz/rock fusion band “Sea Level” with “King Grand” and “Living in a Dream”. Of course Chuck couldn’t leave Mick, Keith, Ron, and Charlie behind and includes Rolling Stones’ rockers ‘Tumbling Dice” and “Honky Tonk Woman”. He rounds out the album with a few originals of his own and throws in two rhythm and blues classics “Route 66” and “Compared to What”. There aren’t many artists who can perform rock, rhythm, and blues backed by a big band and retain the song’s spirit. But true to Chuck’s rock legacy he does exactly that. This is not a big band album. It’s a rock, rhythm, and blues album. Keep rockin!